Gerry is a lecturer in Electronic Engineering in the Institute of Technology Tallaght. 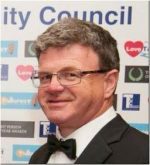 He is currently voluntary chair of Tallaght Community Council one of the oldest community group in Tallaght, and one of the PPN ( Public Participation Network ) members in the Local Community Development Committee, a statutory derived body. . He is interested in the role that technology enhanced public participation can play in an improved planning process for South Dublin County Council. Synopsis: The role of public participation via the public participation network , a statutory body, and Local Community Development Committee is described. A swot analysis of the planning process is presented together with metrics that can be used to improve environmental and community sustainability in South Dublin County Council.